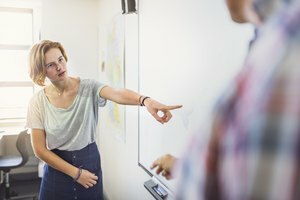 A Montessori teacher is less of a wrangler and more of a guide or facilitator. "One kid spent 25 minutes washing a table! The teacher sat on the floor playing with beads! And they charge tuition for this?!" 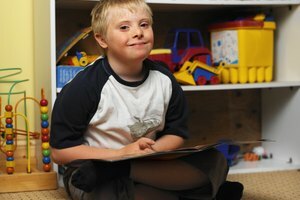 Before you, or your partner, decide Montessori schools are anarchic training centers for child custodians, take a moment to understand the correct observation methods. Enter the classroom and seat yourself quietly so you don't disturb the children. To truly observe a Montessori classroom in action, your presence must be as inconspicuous as possible. That means no chit-chatting with the teacher and only speaking to children who ask why you're there -- and even then, a simple greeting and one-line explanation is sufficient. For example, if a child greets you and asks who you are, simply reply, "Hi. I'm just here to watch quietly." Notice the layout of the Montessori classroom. At first glance, the room might seem like the work of someone who went overboard de-cluttering. In a Montessori preschool, you won't find overflowing toy bins or noisy, blinking plastic monstrosities. The "materials," as they're called, should be minimalist, realistic and natural. Everything from snacks to counting beads and wooden blocks should be easily accessible to the students and stored on individual work trays. Children can choose where to work, including on a small rug on the floor. Observe each area of the Montessori classroom for 15 minutes before moving elsewhere. Patiently rotating around the classroom will show that, contrary to popular belief, preschoolers can complete meaningful tasks without constant direction or intense adult supervision. Notice how the children engage with the materials in different ways. Some kids will work quietly and collaboratively in a group on a map or a chart. Other children will work independently, using laser-like focus to complete tasks from pouring water to tracing sandpaper letters. The children should appear excited and engaged with their prepared materials. Listen to the children and the teacher. Whether a child is telling another child that he's disrupting his work -- and most won't hesitate to do so -- or they're offering juice to their friends at the snack table, children in a Montessori classroom should speak to each other respectfully and graciously. The teacher's voice should be gentle and supportive, offering guidance and strategic instruction rather than "telling" the children how to complete a task. Notice how the children take care of the materials and themselves. The emphasis on self-help and independence in the Montessori classroom leaves most parents wishing they could get similar results at home. In a Montessori classroom, preschoolers should be carefully picking up materials when they're finished and returning them to the correct shelf in full working order for another child to enjoy. Not only should students in a Montessori classroom disprove the idea that 4-year-olds wreck havoc on everything they touch, they should also be serving their own snack, clearing their own dishes and washing the table when they're finished! 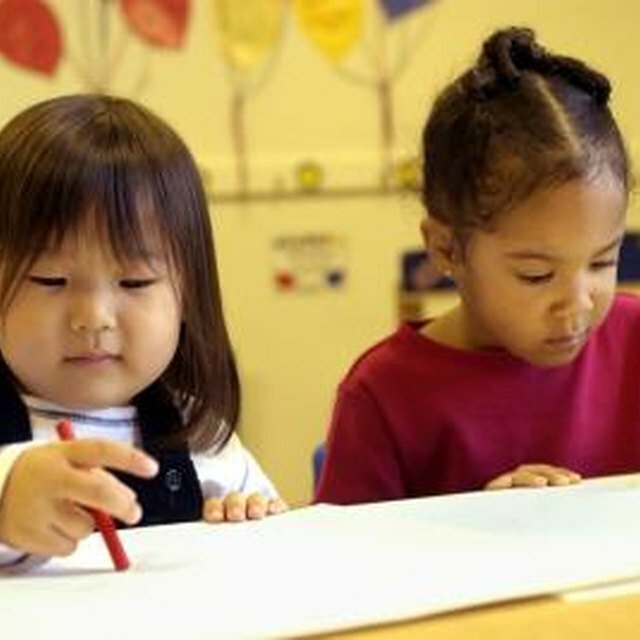 Spend some time researching Maria Montessori's practices and educational philosophy before observing a Montessori classroom. Knowing the reasoning behind certain tasks or methods will make the experience more meaningful for you. If you're observing your own child's classroom, understand that the behavior and productivity you see aren't necessarily indicative of her normal self. Your presence, no matter how inconspicuous, could cause your child to act clingy, silly or weepy. Schnell, Christina. "How to Observe a Montessori Preschool Classroom." Synonym, https://classroom.synonym.com/observe-montessori-preschool-classroom-47062.html. 26 September 2017.